For the last few months I’ve been doing something… Something that came intuitively, something that just started happening because I felt compelled to do it and it became a very powerful and amazing exercise which I will continue to do for a long while yet. If you’ve been following me on Instagram you would have seen my progress through it, it has been an amazing, energy lifting, intense and raw experience. What is it you may ask? I was inspired to draw mandalas of my chakras. It was just something that I felt called to do. I was experiencing anxiety earlier on in the year, so I decided to start at the Root Chakra. As you may or may not know, the Root Chakra is the grounding chakra – it is this chakra you work on to help with anxiety (which goes on in the head – therefore needing grounding). As soon as I started, I noticed that when my energy was “out” or needed clearing in that particular chakra, the mandala would come out wonky, or it just wouldn’t flow. Drawing it was hard and frustrating. But I kept at it knowing that this was representing my energy within that Chakra. Soon enough, the root chakra started taking shape and flowing beautifully. During that week, I started experiencing knee problems and other lower limb issues associated with the Root Chakra. I thought it was a coincidence, addressed the issues, they healed and I kept going. Yes – the same things happened. I started getting associated health issues with that area and also experienced emotional discomfort around issues throughout the creation of the Sacral Chakra Mandala. The first two were quite quick – I think I completed them within two weeks of each other. So far it had been an interesting and pleasant experience, but I still had a few more to draw. What I experienced was uncomfortable, intense, dark and did I mention UNCOMFORTABLE???? Let me express to you the marvel of clearing energy and allowing the chakras to fully spin to their potential. 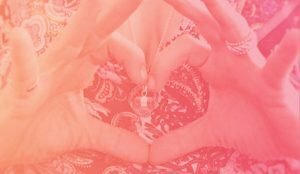 Upon embarking on the Heart Chakra Mandala, I started feeling edgy with my relationship and I developed a chest cold (hmm….). One morning I woke up and felt absolutely terrible emotionally. All I wanted to do was curl up on the lounge and cry. I still had the cough but nothing too serious. By 2.00pm that day I went to the Doctor to get checked out and I had developed Bronchitis. Lung issues are all about grief, and I was in the midst of questioning EVERYTHING about what my relationship was – I KNEW deep down it wasn’t the end, but I was hurting. My heart was literally HURTING. I hadn’t felt like that for a very long time and it freaked me out a little. My beautiful Mama is a homeopath and kinesiologist so I went to her to get sorted out that afternoon. By the time dinner came around, I had identified what the issue was and what was going on but I was still heavy and the shadows that I hadn’t acknowledged came to the foreground. By then I knew the power of drawing my chakras (and I was also listening to a channelled audio series by Dana Machacek which was integral in healing and supporting immensely) and I knew that I had to endure these feelings to heal. I kept drawing, slowly – some days it was a struggle, other days I didn’t want to touch it at all. Finally the shadows disappeared. The Bronchitis and subsequent asthma healed and I was left with an open and vulnerable heart. But I felt strong. I felt love. I felt that I didn’t need to put a wall around my heart anymore “just in case I got hurt”. It was then I quickly and easily completed the Mandala. I marvelled at this process I was called to do. I never could do guided Chakra meditations – I’m just not good at them. But this – this has been more powerful that any chakra clearing I’ve EVER done in my 20 years of meditation and spiritual discovery. Next was the Throat Chakra…. Same thing happened, but relating to the throat energy. Around that time I was in the middle of building my website to launch (this was last month) and I was working on speaking my authentic truth. I laughed when literally the next morning I woke up with a tickly throat. That sounds masochistic – but really – it’s kind of a funny cosmic joke isn’t it?! The cold didn’t go to my chest this time, but stayed up all around my neck area which was all where the Throat Chakra governs. I dealt with the shadows that came forth and ultimately it cleared again. Did I mention that this process has been one of the most powerful exercise I’ve done in a long time? Step by step and back over again, this has become my favourite way to “work on” my Chakras and I really really want to share this with you. What do you think? The other night as I was washing up a very small and very quiet voice entered my minds eye. Now if I wasn’t practicing a mindful moment it would have flown by as inspiration does when you’re not paying attention. It said – Karla – do the colouring book. I actually had to say “Whaaaaat?” and at that moment of question, inspiration downloaded a full description of a Colouring and Meditation Workbook I was being compelled to share with you, my sisters and brothers. So it is coming – It’s called Sacred Chakra Mandalas – a Workbook to Work Your Energy. 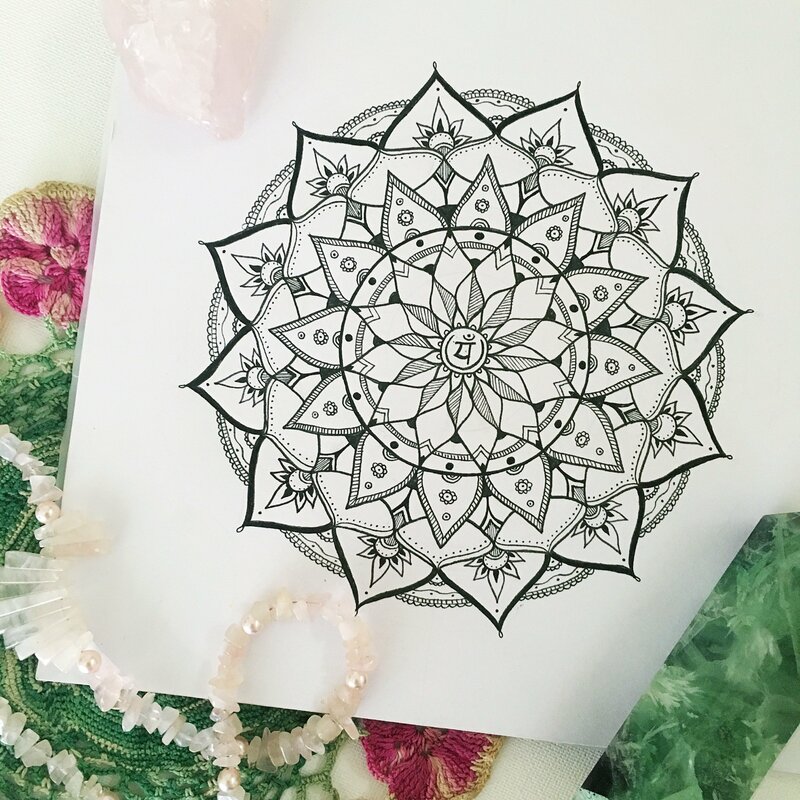 I will be including the very Mandalas I drew (but I will simplify them for your own colouring meditation) and a worksheet asking specific questions, guiding you to clear your shadows and clean your chakras in a non-confusing and creative way. I’m working on it and it should be ready before the month is out. But more information on the date of release coming soon. It is when you face your shadows you step into your light. Whose with me? You can register your interest below to grab an early bird discount. And for a gift I would love to give you the Sacral Chakra Mandala for you to colour – a page from this Workbook. I LOVE everything about this! Such a powerful story. 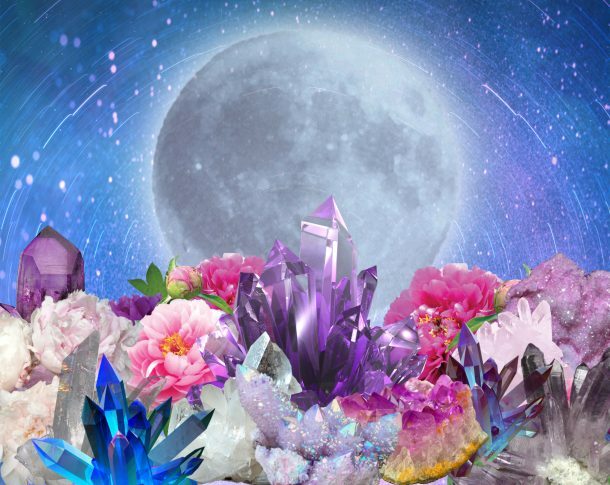 And I can relate to it all… as you know I too have been on a chakra mandala journey and it has been SO re-connecting and empowering. Your colouring workbook sounds AMAZING! My heart is happy for you Love ❤️?